During the World Travel Market (WTM) 2017 in London, the Ministry of Tourism, Arts, and Culture – Ghana appointed Grand Aurum Marketing/Marta Consulting as International Strategic Advisors to help position Ghana as a viable preferred destination in Africa. The Ghana Tourism Authority (GTA), in partnership with the West Africa Tourism Organisation (WATO), has launched a project called West Africa Integrated Travel, to connect West Africa seamlessly. The project seeks to promote a joint marketing effort amongst tourism boards and authorities in the region. TTN spoke to Catherine Afeku for more insight into the destination. “A lot of Africa is hidden away from the eyes of the world and we are sure that Ghana is one of these hidden gems. Ghana has a plethora of offerings for tourists; the first is cultural heritage; the second one is our coast; and the third is the safari, which is great with ample fauna and flora. “Ghana is a Christian majority nation and the next biggest religious group is Muslim. Christians and Muslims have been cohabiting in our country for hundreds of years without any friction. 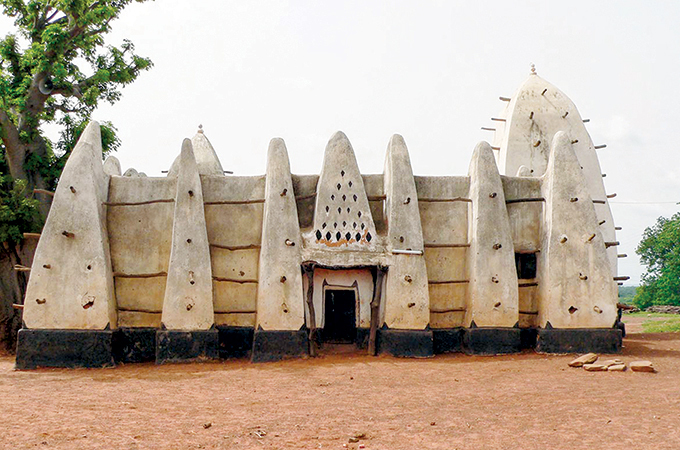 Ghana has a 600-year-old mosque in a town called Larabanga, in the north west of the country. A 600-year-old hand-written Koran is in Ghana. The minister mentions a five-day itinerary would be perfect to see the highlights of Ghana – rest on the first day, Accra city tour the next day, the third day fly to Tamale – capital of the northern region, then drive to Mole National Park (which also has an airstrip), spend a day in the park, do Larabanga, and return to Accra. The entire tour can be done on helicopter if desired. Emirates connects Dubai to Accra on a daily basis with an 8 hour 30 minute journey time.